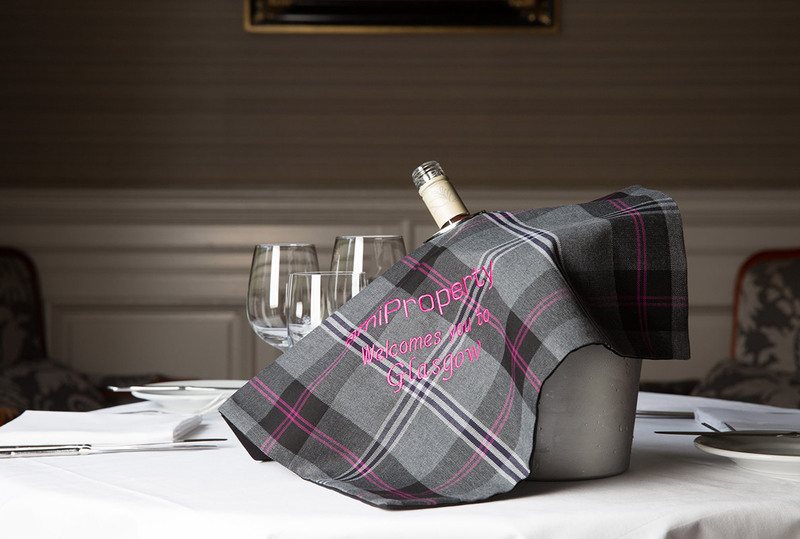 Robe du Vin is a unique wine bottle napkin handmade in Scotland. 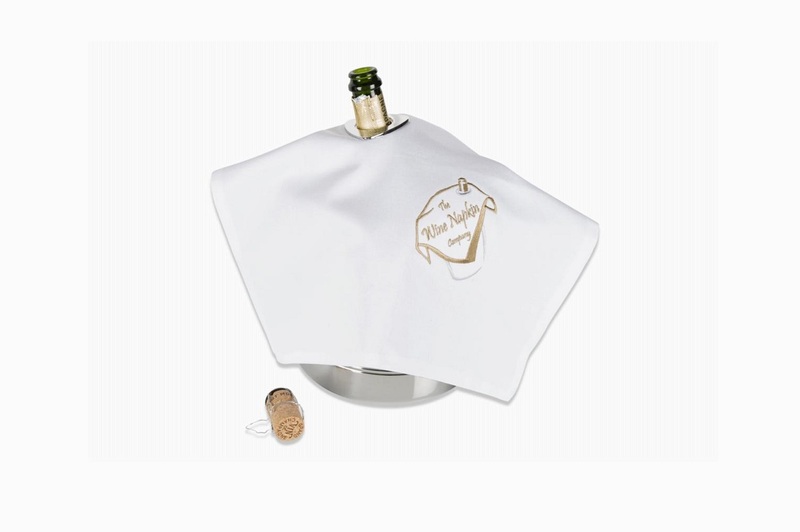 It features a beautiful detachable ring which sits over an open bottle of white wine or champagne which is placed in an ice bucket. 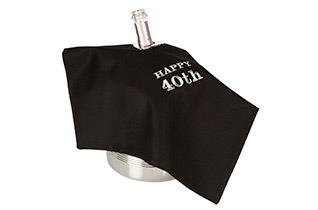 When pouring your wine, the Robe is wrapped around the bottom of the bottle to stop those annoying drips of water. 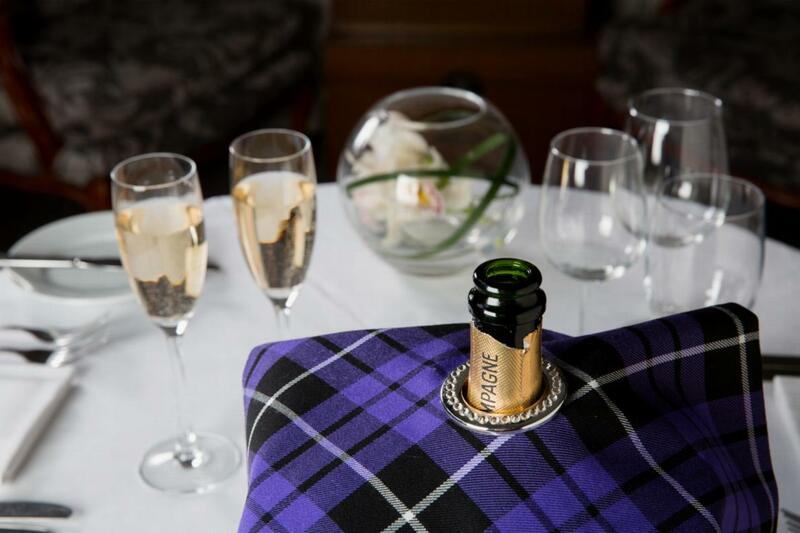 It would enhance any dining experience, or use simply whilst sipping a glass of fizz! 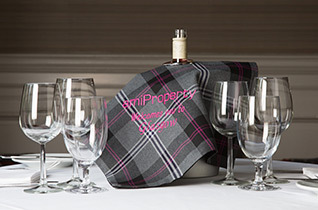 Tartan or plain, this napkin can be designed to your own requirements. 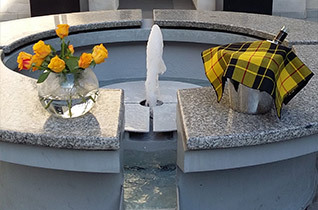 Request a clan tartan for something a little bit special and choose pure new wool for extra luxury. 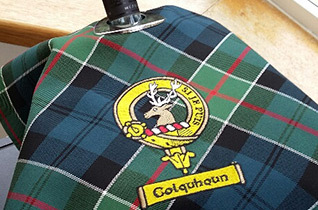 Ideal for unique wedding gifts, why not match the groom’s kilt fabric for a wonderful addition to the top table, or have it personalised with the Bride & Groom’s name? 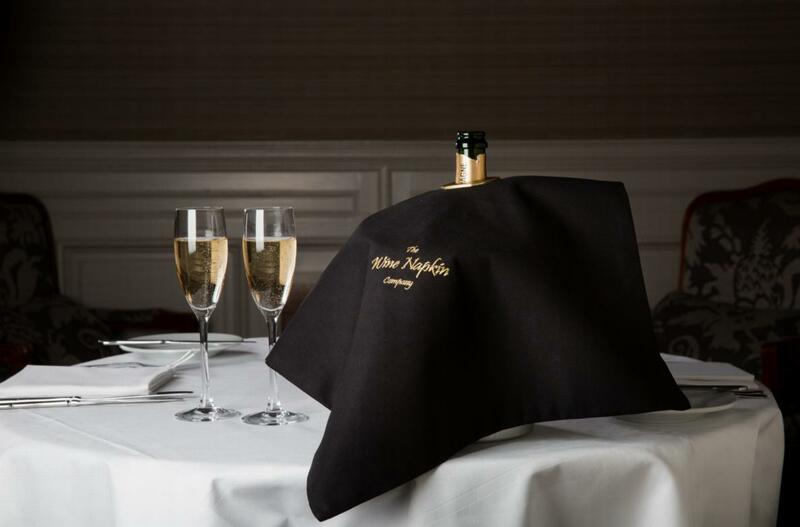 You might be looking for something a little bit different for your corporate event: your company logo embroidered on the napkin will certainly be a talking point. 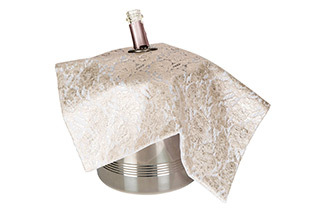 Robe du Vin: something different, a little bit of luxury. 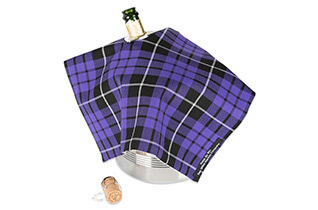 The perfect gift for the person who has everything.